You can make a catering reservation once you have a confirmed reservation in the CEC. The CEC does not provide catering but recommends the use of UNO Catering, the only vendor allowed to serve hot or warm foods in the building. Contact UNO Catering at 402.554.2400 or unocatering@unomaha.edu with questions, or to place an order after your reservation has been made with the CEC. Hot or warm food is not allowed to be catered or brought into the building, other than by UNO Catering. The only exception to this policy is pizza. If a professional external caterer or local vendor is used, the group or organization is responsible for complying with the no hot or warm food policy. The group or organization is responsible for all arrangements including, delivery set-up, table linens, clean-up and utensils needed to serve foods, as well as cleaning up and disposing of all trash and leftover food. Please see the Welcome Desk located on the first floor Union Pacific Atrium for cleaning supplies. The CEC works with Every Bite Counts, in food recovery from events. Visit their website to learn more, or contact them at everybitecounts@unomaha.edu. No alcohol is permitted in the CEC building without prior consent and approval. 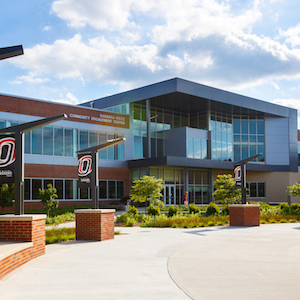 If a group or organization wishes to submit an alcohol request, the Alcohol Service Request form must be submitted to David Peterson, Building Services Manager, 402.554.5965, davidpeterson@unomaha.edu, at least two business weeks prior to the event. Submitting the form is not a guarantee of approval. Alcohol requests that will be granted are limited to specific CEC rooms and times. In order to be considered, qualifying groups or organizations will need to host a business meeting in the building prior to 5 P.M. The consumption of alcohol on campus is authorized and governed by Regent policy and the Nebraska Liquor Control Act. Please view the administrative procedures and requirements for serving alcoholic beverages at appropriate events on campus and provides. 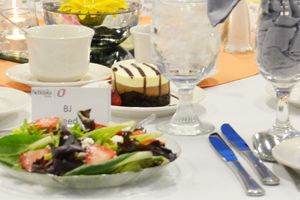 We recommend UNO Food Service/Catering—check out what they have to offer!